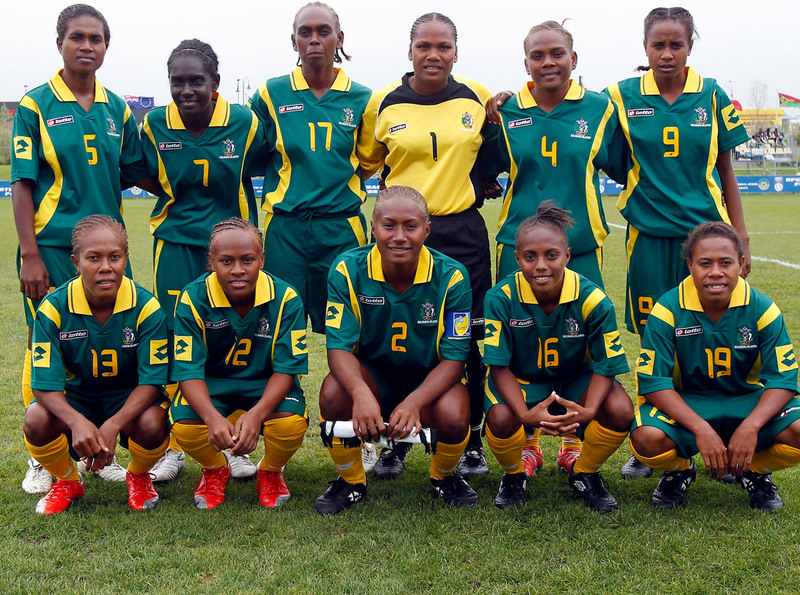 The Solomon Islands last OFC Women's Nations Cup appearance came in 2010. The OFC Women’s Nations Cup Qualifier gets underway at Churchill Park in Lautoka, Fiji tomorrow and all four competing nations – Solomon Islands, Vanuatu, American Samoa and hosts Fiji – are ready to get their campaigns started. With a spot in the final OFC Women’s Nations Cup tournament up for grabs the prize of winning the qualifier is a big one, with a place in Group B alongside Tonga, Cook Islands and defending champions New Zealand on offer. While American Samoa haven’t had a senior women’s side compete in an OFC-affiliated competition since the 2007 Pacific Games which doubled as the qualifier for the Olympic Women’s Football Tournament, coach Larry Mana’o and the staff at Football Federation American Samoa have been working hard to assemble a strong squad to compete against their more experienced rivals. “We have a new team in good form fitness-wise and in overall conditions and it is about finding the chemistry,” Mana’o explained of the team. He said bringing in a couple of players who competed in the 2017 OFC U-16 Women’s Championship is expected to boost the squad in terms of having some regional experience among the players. “The young girls who have the experience from the U-16 competition bring a lot more composure and exposure and they are bringing some experiences that other girls don’t have, even though they are older, which is an advantage,” he said. Mana’o’s last foray into international football was at the helm of the American Samoa men’s team when they competed in the FIFA World Cup Russia™ Qualifier – Stage 1 in 2015. The team did incredibly well despite missing out on an historic qualification to Stage 2 and Mana’o said he’d like to see the women do even better than his men’s squad did. American Samoa open their campaign against Solomon Islands, whose side performed valiantly in the 2017 Pacific Mini-Games to finish fourth behind Vanuatu, Fiji and Tonga. “I don’t know much about them but they are going to be very strong and athletic,” Mana’o said of their first opponent. “It’s going to be an interesting match because we have not played many games together, just a few friendlies, but the girls are focused. “I am excited to see the girls play in the first match because it is after a long time that we have finally formed a senior women’s team,” he concluded. For Solomon Islands, taking on an unknown opponent in American Samoa first up will be a crucial test for coach Diane Justus and her young side. Justus said although the team is aware that their opening opponent has relied heavily on recruits from the USA, they won’t be intimidated. “They have the players, and some of the players they have recruited from the USA and I don’t think we are scared of them,” Justus stated. “We also have player who can do the job and we are going to give more than 100 per cent in the match. Solomon Islands intend to take each match as it comes, but know that the opener is an important one given the nature of the tournament. “Our main objective right now is to win and score against the American Samoans,” Justus said. The second match on opening day of the competition will see the 2017 Pacific Mini Games goal medallists Vanuatu take on their hosts, and fellow Mini Games finalists Fiji in what is expected to be a tight encounter. Vanuatu defeated Fiji 2-1 in the final of that competition which followed a 0-0 draw in the pool games between the two sides. Despite that having the potential to give his side a little confidence boost, Vanuatu coach George Kalo said the Mini Games are in the past. “We have left our gold medal win at the 2017 Mini Games in the past. We’re taking the qualifiers seriously but we want to keep our winning streak alive,” Kalo said. Although the Pacific Mini Games are in the past, Kalo’s squad represents their success well with a large majority of them returning for the OFC Women’s Nations Cup Qualifier. “We have the same players that played in the Mini Games last year but only one new who is also the baby of the team,” he said. Having met Fiji twice during their previous competition, Kalo said he has a good understanding of what to expect come kick-off. “We know the strength of the Fijians as they have included some young and good players, but we will do our best. Tomorrow’s match is expected to be a defining moment in Fiji’s campaign according to coach Marika Rodu who believes the preparations should pay off. “It’s a very defining moment for us as it has a lot to offer. Our preparations, resources and man power have been directed towards this game and it can change the course of the tournament for us,” Rodu explained. “Playing against Vanuatu is the biggest match for us out of the three teams, knowing that they beat us in the final of the Mini Games last year. Rodu said the side has done their homework in terms of analysing what went wrong for them in 2017 as they look to secure success from day one at Churchill Park. “We have worked on our mistakes and for sure we will come out firing in our opening match, which is very important for us to create history for women’s football in Fiji.